Previously in our series, we covered the first two of our three technical SEO principles: If Google can’t see your page, no one else will and Technical SEOs serve two primary users: searchers and bots. Optimize for both. Now let’s cover two specific tactics for creating meaning and context for the machines and bots that interpret your words. Principle 3. Words are just 1s and 0s to machines and bots. Explicitly create meaning and context for them. Google is still far from perfect at understanding the meaning of your content. You can help it gain a better understanding of your page by the way you structure your content and code. Metadata means “data about data.” In the context of SEO, this includes title tags, meta descriptions, and structured data markup such as Schema.org. 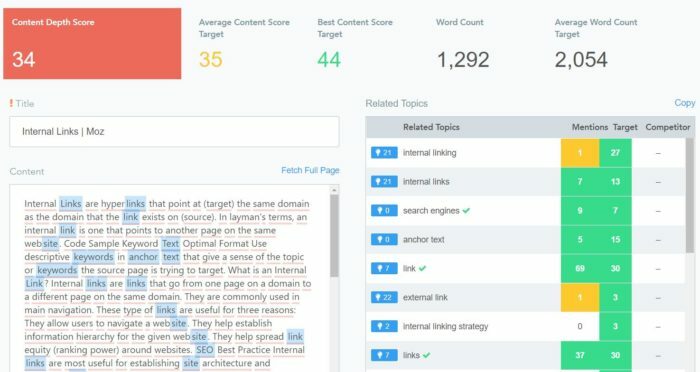 Structured data markup such as Schema.org allows you to tell Google the meaning of content on your page. Google also uses Schema.org to enable and show search results page features, such as review stars and food recipe rich cards. The best place to start implementing Schema.org markup is to identify the various page types on your site (home page, category pages, product pages, blog posts, etc.) and then map those page types to Schema types. For example, your blog posts could include markup for authors, publish dates, body content, and the article description. Once you have your page types mapped to Schema types, add the code for these Schema types to your site and test them via the Structured Data Testing Tool. There are endless tactics an SEO can use to move the needle. Do not forget about title tags and meta descriptions! These are two primary areas Google uses to understand your page. Ensure that your title tags and meta descriptions are structured properly. Simple tactics like including the target keyword in your title tags still have a significant effect on rankings. As you’re optimizing titles and descriptions, remember that these serve as the “ad” for your organic search result. Be sure to incorporate copywriting best practices, such as including a call to action in your meta description. Finally, make sure you’re not confusing Google by having duplicate title tags or meta descriptions. You’ll want to periodically crawl your site and search for duplicate title tags and meta descriptions. According to Cyrus Shepard, Term Frequency-Inverse Document Frequency, or TF-IDF, “offers a measurement of importance by comparing how often a keyword appears compared to expectations gathered from a larger set of documents.” In other words, TF-IDF is keyword density analysis 2.0. With this in mind, you shouldn’t try to adjust the output of the formula to fit your needs. Trust that the math is correct and that the formula is providing you the correct keyword data. Technical SEOs serve two primary users, searchers and bots. Optimize for both. Use this framework to identify the strategies and tactics that will take your site to the next level in 2018.